Skydance Media has its new home. 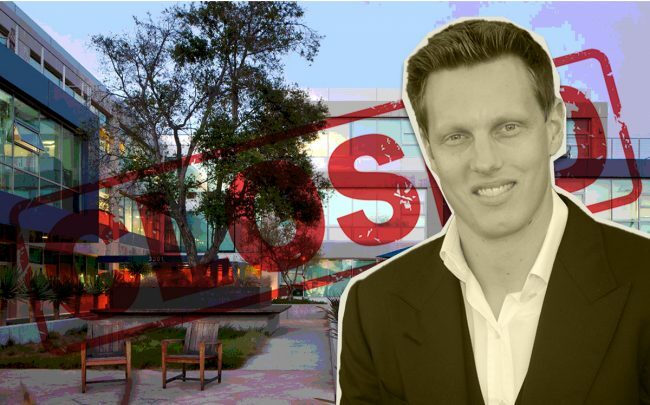 The firm, founded by David Ellison, closed its $321 million purchase of two office buildings in the Lantana office complex in Santa Monica. The deal was completed on March 15, deed records show. The two properties sold, Lantana Center and Lantana West, are known as the north campus and together, total 278,680 square feet. At $321 million, the deal pencils out to about $1,152 per square foot. That is below the $350 million The Real Deal previously reported before the deal closed. Artisan Realty Advisors and Brightstone Capital Partners were the sellers. The joint venture still owns the south portion of the campus, comprised of 203,700 square feet. Sources say the two firms are gearing up to market the remaining properties with Eastdil Secured. Artisan and Brightsone paid $400 million to acquire the entire four-building campus, located at Olympic and Exposition boulevards, in November 2016. That deal worked out to $825 per square foot. Skydance will be joining Beachbody and Tennis Channel at the campus. Amenities at the Class A office complex include recreation areas, outdoor lounges, food trucks, screening room and laundry service.